About a week ago I changed the thermostat housing and sensors in my 2006 Ranger 4.0 due to a leak. A couple of days later the engine light came on and the engine would turn over fine but didn't want to start until I plugged in the block heater. I took it in to a mechanic who suggested that the electrical connectors to the sensors may have been reversed. When I drove it home today I reversed the connectors and noticed the temperature gauge on the dash was on high even though the engine was cold so I removed the connectors again to reverse them and this time replaced the sensors with my old sensors which I knew were OK. The problem is still the same only now, when I try to start the truck it won't turn over or start even though the battery is strong and all the lights are on. I am thinking that the wiring to the connectors may have been damaged. Any ideas would be appreciated. 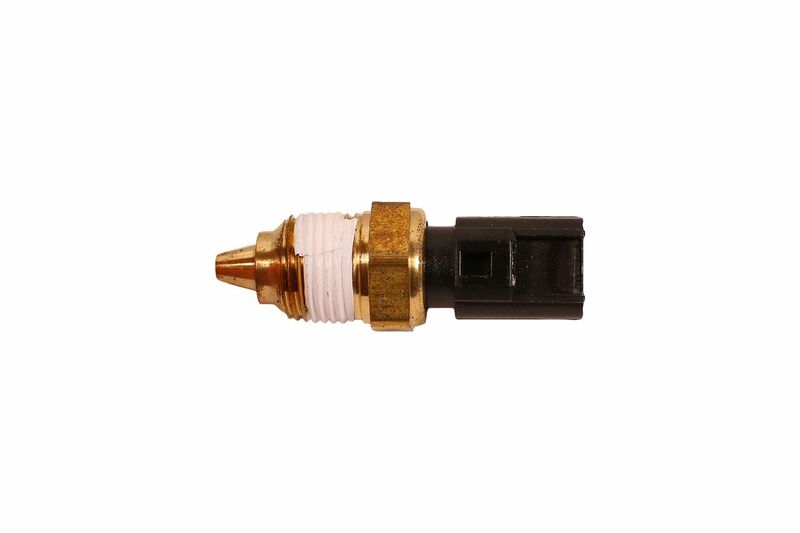 There is an ECT(engine coolant temp) sensor and an ECT SENDER, not two sensors, just to be clear if you order or look up parts. But did you get an ECT sensor, or maybe two senders? "Lights work" is not the sign of a good electrical connection, lights draw maybe 10amps with ALL the lights on, starter motor needs 60-75amps up to 85amps when very cold out, so no comparison. If lights work but not starter motor then clean the BIG battery cables first. And Negative cable has to pass the same amps as Positive cable, so if starter motor needs 70 amps then BOTH cables need to pass that 70 amps, its a "circuit" i.e. circular, wires/cables need the same ability for amps to flow full circle to get a good "circuit"
Last edited by RonD; 01-28-2019 at 11:09 PM. Thanks for all the great information Ron. The sensors in my thermostat housing are plug in and both look identical and actually have the same part # listed on each sensor. This afternoon I still could not get the truck to turn over as I just don't have the knowledge to diagnose the problem further so I explained the situation to my mechanic and had it towed to his place. So now I am waiting to see what he finds. I appreciate your insight and will post what the problem is when I get it back. Pictures of where the Engine Coolant Temperature Sensor & Sensor LOCATION? Quick Reply: Coolant sensor problem?